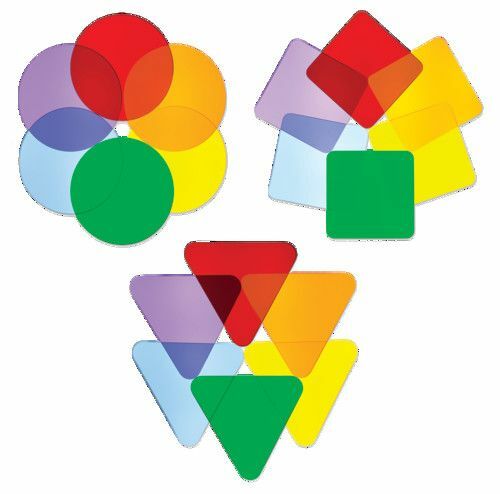 6 each of 3 acrylic shape disks (circle, square and triangle) in red, purple, blue, green, yellow, and orange for use on LED light tables or by themselves. Safe, shatter-proof, sanded edges for safety. 18 pieces.